Though a very popular blog post had been published on wpmu.org describing the basic drawbacks of Free themes and most of the times we do agree with that………..But still I strongly believe that there are a lots of Good wordpress Theme developers are out there who is constantly developing SEO optimized Adsense ready Free wordpress theme. So I decided to search how people can get free wordpress theme ? This Firefox plugin is “Darling of all the web developer” full with tons of features that is required by all the web developers for CSS, images, div element , responsive element , CSS validation , HTML Validation, DIV element, Java etc etc. 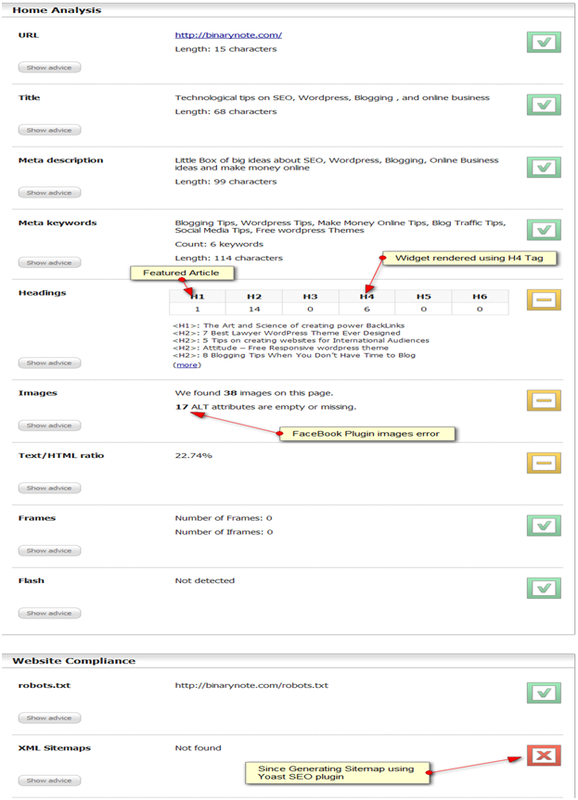 We will use this plugin to audit alt image tags, widget width etc etc rendered by theme. As I have already mentioned this plugin in my numerous articles. How to use this plugin to find out high page rank blogs or how to find out high ranking post etc etc. Besides that it could help you to audit your any website free of cost. 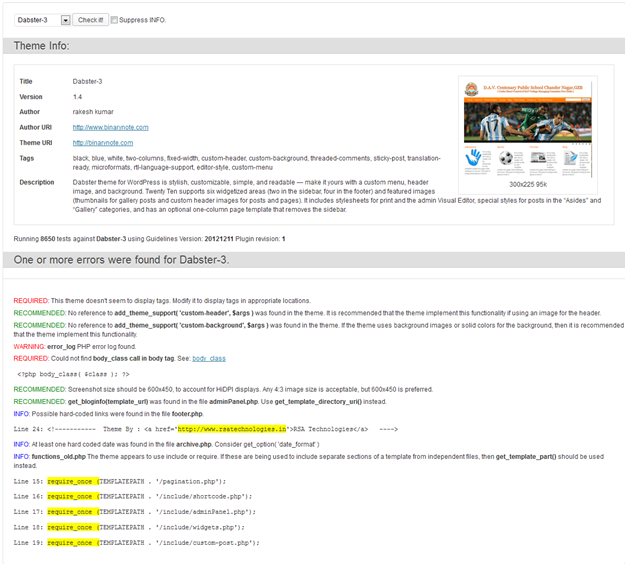 In our case, You can use this plugin to check SEO aspect of your free wordpress theme like where h1 , h2 h3, h4 etc. This wordpress plugin was in the limelight when a lots of theme developer start embedding encrypted links in the free themes. Free themes are famous for hidden/ encrypted links. 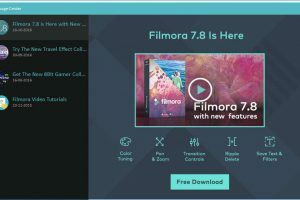 Newwpthemes.com is such a website producing high quality themes with encrypted themes in their footer. The original purpose of this wordpress plugin was to enforce standardization of free wordpress themes, to be deposited on free wordpress theme repository. TAC also searches for and displays static links. Though a lots of free wordpress themes are out there to woo you, wordpress theme repository is one such location. WordPress repository offers you a lot of theme in different niche and style, but most of them are not more than the skeleton or having the basic framework. This is the main reason people use Google or browse from blog to blog in search of a perfect free theme for their wordpress blog. Does such perfect free wordpress theme really exist? Yes, if you have the proper knowledge what do you really want in a free theme, then such themes exists. Size of theme – How many pixel size width it covers. 960px is default standard in this industry. Even premium wordpress themes also render in 960px. Fixed vs Responsive – if your major concern is – desktop computers, then do not go for responsive theme like if you are theme developer then obviously it is no use to use a responsive theme to showcase your work on tablet and Smartphone. Menu bar – Simple menu bar with drop down menus are the loved one and widely accepted. Remember here these drop down menu feature must be coded …not rendered through any third party plugin. Logo – What is the size of logo in pixel i.e. wide and its height and how your free wordpress theme will help you to add your own logo. Favicon – Your brand on the web-browser is displayed through this tiny graphic…Remember there should be a very standard feature to upload your own favicon. Adsense Ready – Though does not matter a lot still people love to add ads through code instead of weird plugin. Widgets – Popular post, top commentator, Face book like social presence widget. These are common and should be there, though there is a debate whether these should be hard coded with theme or rendered through plugin. 1. Encrypted links or hidden links – These types of links can be checked easily using TAC wordpress plugin. 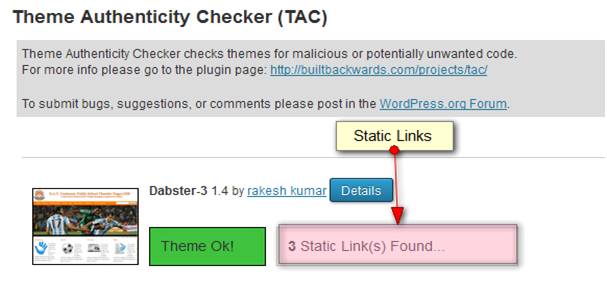 TAC plugin only check the theme for hidden, static or encrypted links but does not able to tell you whether your theme had been developed using the standard defined by the wordpress documentations. 2. Does this theme is developed using the standards defined by the wordpress documentation. The answer is very simple- Now check this theme using theme check wordpress plugin to see the standard followed by the programmer. Loading time of any website depend upon a lots of factors, ie Premium webhost , CDN, Database server, Caching System and not to forget , how efficiently your wordpress theme had been coded. 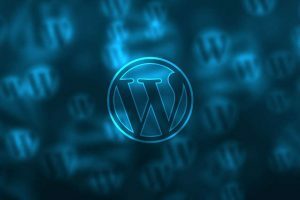 There are methods available to check the efficiency of your wordpress theme. To check the efficiency of your wordpress theme, my suggestion is………… disable all the plugin and flush all the cache from the browsers memory. Now using Google page speed / yslow to find out the score of your website. Higher the page score better coded the theme. Check whether the jquery is invoked in the header/footer. If queries load at header automatically take longer time. The above issues are directly related to the wordpress theme, other issues that affect the page load time depend upon the web-host and that we are not discussing in this article. A broad idea you can get from host gator review. Tools.pingdom.com and gtmetix.com are two widely used online tools available to check the page loading speed of any website. Premium themes and theme framework normally boast of search engine optimization, so what the hell they do in their theme framework that does not come in free wordpress themes? 2. Alt Tags: Most bloggers love to show featured images though featured images feature of WordPress, That is fine but it does not bring the alt tag defined with the associated image, thus dilute the search engine optimization efforts, without even your knowledge. The above code you can use either in your index.php file or in function.php file depending upon from where your theme is serving featured image. These are some point, you must consider while selecting a free wordpress theme. If I forgot any point or features, you think crucial for your online presence; do not hesitate to share with us. You can also spread the word and educate other newbie sharing this post on social media. I’ve been using a Free theme and I don’t have any problem with it so far. That is great, You are able to find out SEO friendly free WordPress Theme. Which methods, you are using for searching such themes for yourself? I am waiting for your kind attention on this issue. I have gone through the whole post and this is really a great one..very helpful. Me too is trying to tell my readers, if they want to use any free WordPress theme, then before implementing this theme on any blog check that theme using theme check plugin. It is really difficult to find good quality wordpress theme and personally would recommend the above listed ways. 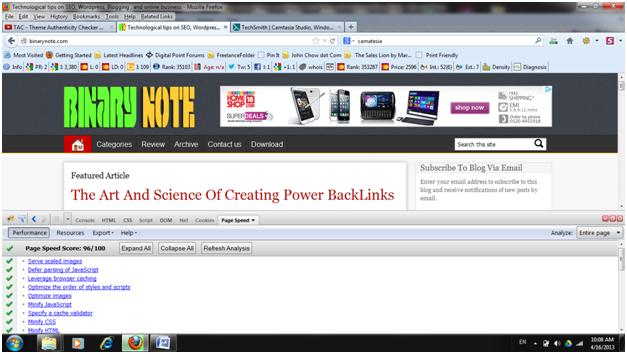 I am using Eleven 40 Geenesis child theme.. which is also SEO friendly theme. Good to know that you are not behind the free WordPress theme. 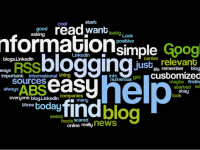 Genesis is a good option if you are ready to spend some money on your blog in early days. Great Post! I’m seriously impressed. Thanks for sharing. I think WordPress really rocks!!! Thanks for your kind words evans,hope for this kind of support in future also. Hopefully my website can improve.. thank you rakesh..
hey nice post…i have been looking for this type of stuff for my blog…i Hope this help me alot to improve. Thanks a lot for info just few hours ago I bought a self hosted WordPress service and was clueless which theme options to be taken care of! Thanks a lot frnd! I personally use Theme Authenticity checker to check a theme. A single malicious link can ruin everything.. Most themes are SE friendly, actually theme have nothing to do with SEO. I think more important is to find responsive theme and grab all mobile traffic. This article will be to complicated for newbies to follow, actually I doubt that even professionals are making that kind of check! In this case, i do not agree with you Carl, Most of the time free themes are not seo friendly, either they do not add proper tag or size or alt tag to images or does not render widget with proper heading tags, so whensoever a new article publish, these simple mistakes, ruin your whole efforts. So in my opinion it is must. I do understand, it is hard for a newbie to follow , still trying to educate them. Thanks for your thoughtful comment. Hope to see you soon. Missing image size, alt tag or whatever is a minor problem. “Ruin whole effort”, well this is really minor problem to ruin SEO, as SEO is not just related to on-page optimization, even these things are the very last things to look at on-page optimization. Every theme have some kind of validation error, period! Theme is one of the most important part of Search Engine Optimization for your site. Do agree with you my dear friend and newbies sometimes does not have enough fund to invest on these so called premium themes. Thanks for this wonderful update, hope to see you very soon. Thanks Vivek for your positive feedback.